The crew at Surly Brewing is in for a busy few weeks. 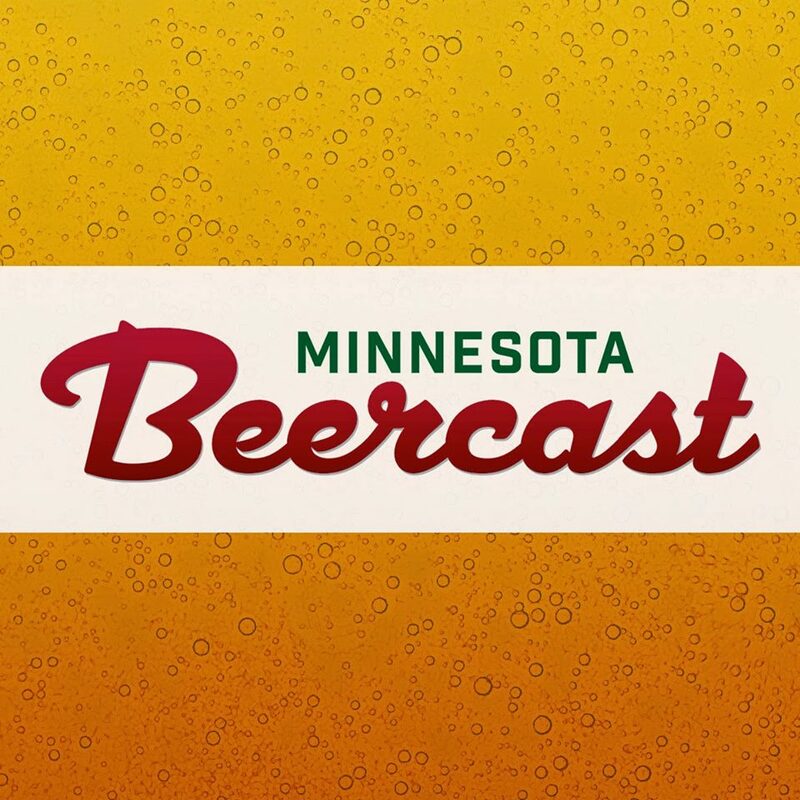 SurlyFest is on shelves and their annual Oktoberfest party is happening this weekend for the first time at the Mpls brewery. Wet with Simcoe is in the tanks and should appear sometime soon. 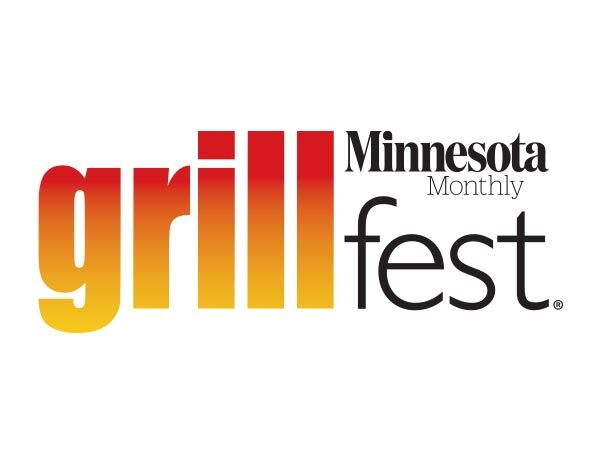 Nein will debut September 28th, at Black Forest Inn. But, there is only beer that Surly fans camp out overnight to get their hands on. That’s right, Surly Darkness. And, an interesting new Darkness label just made an appearance. Surly works with a local artist to create a terrifying label for each release of the Russian Imperial Stout. Label art for the 2015 version of Darkness comes courtesy of Brandon Holt. 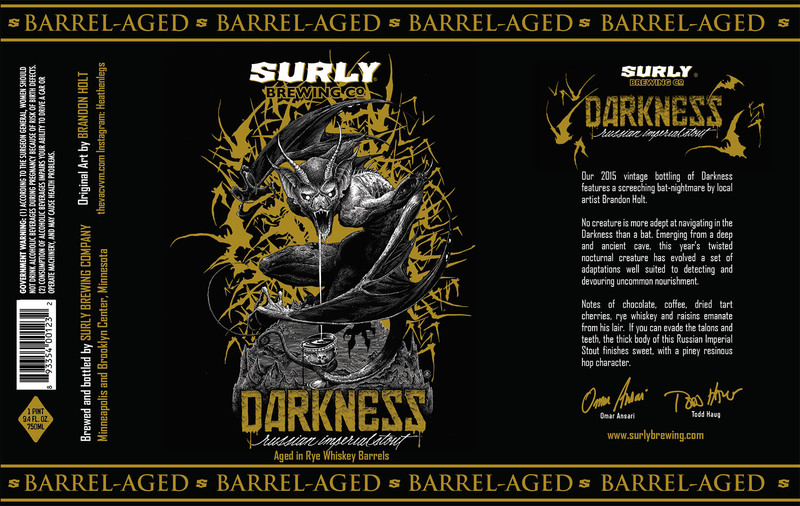 The new golden version of the 2015 Surly Darkness label pictured below confirms that there will indeed be two versions of the beer. There will be a classic version and a rye whiskey barrel-aged version. No word on the amount produced of either variety or any difference in pricing. Notes of chocolate, coffee, dried tart cherries, and raisins emanate from his lair. If you can evade the talons and teeth, the thick body of this Russian Imperial Stout finishes sweet, with a piney resinous hop character.